Hi Brunchies! 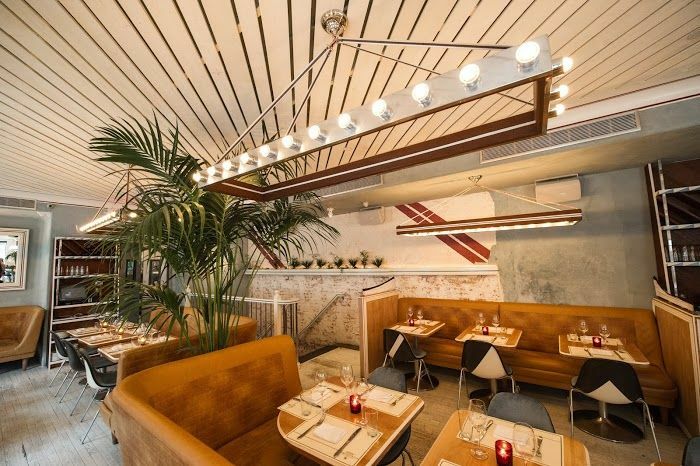 Here’s where to go the Week of September 14th (as reposted from our ONE & ONE newsletter.) This week, ONE Downtown and ONE Uptown. Brunch Hours: 12pm -5pm Sat. & Sun. Brunch Reservation Policy: Brunch reservations are accepted for parties of two or more. While there are a lot of French restaurants in town, Chicane is the closest thing you’ll get to the French Riviera without actually going there. The region is reflected in everything from the bright interior to the ”cuisine du soleil” (food of the sun). Bonus: the chairs and booths were designed to remind you of race car seats. It’s like brunching during your own Monaco Grand Prix. Go for the La Trouchia, a South of France specialty, that includes Eggs, Swiss Chard, Tender Onion, and Parmesan. For you hollandaise lovers, a Maryland Crab Cake Benedict is also served here for your pleasure. Chicane will definitely serve the brunch classics, but also provides their full cocktail list too. There’s nothing I want more than to go back to summer vacation, so I’m opting for the Grace Kelly to temporarily transport me there. It’s vodka, strawberry, mint and fresh lemon. Brunch Hours: 10:30am – 3:30pm Sat. & Sun. Brunch Reservation Policy: Brunch Reservations accepted for parties as small as two. The East Pole is well worth the trip even if you don’t live in the neighborhood. Its name is a playful contrast to the North Pole, and also a nod to how they source local ingredients from Eastern New York. 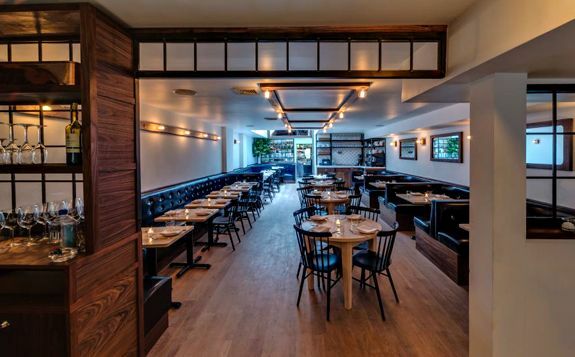 Inside you’ll find modern, minimalist decor, and navy colored booths set against light-colored wood. Pro Tip: if you are a group of six, try to score the big round table in the back, perfectly situated under the skylight. If you are a larger group celebrating a special occasion, the upstairs space is great for a private event like a birthday, bridal or baby shower.